Fletcher Jones Imports Las Vegas is honored to present a wonderful example of pure vehicle design... this 2019 Mercedes-Benz CLA CLA 250 only has 5,580mi on it and could potentially be the vehicle of your dreams! This Mercedes-Benz includes: SMARTPHONE INTEGRATION Smart Device Integration BLIND SPOT ASSIST Blind Spot Monitor WHEELS: 17 5-SPOKE Aluminum Wheels WHEEL LOCKS (PIO) Wheel Locks SAIL PATTERN TRIM BLACK HEADLINER *Note - For third party subscriptions or services, please contact the dealer for more information. * Your buying risks are reduced thanks to a CARFAX BuyBack Guarantee. This is the one. Just what you've been looking for. You could keep looking, but why? You've found the perfect vehicle right here. This outstanding example of a 2018 Mercedes-Benz GLA GLA 250 is offered by Fletcher Jones Imports Las Vegas. This Mercedes-Benz includes: MULTIMEDIA PACKAGE PREMIUM PACKAGE CONVENIENCE PACKAGE SAIL PATTERN TRIM WHEELS: 18 5-SPOKE ALUMINUM (STD) *Note - For third party subscriptions or services, please contact the dealer for more information. * This vehicle is loaded with great features, plus it comes with the CARFAX BuyBack Guarantee. This SUV is a superb example of what a tough, work focused vehicle should be. Exceptional towing, acceleration and torque will help you get the job done. The less money you spend at the pump, the more money you'll have to spend on you. So why not consider this wonderfully styled, fuel-efficient Mercedes-Benz GLA. Thank you for your interest in one of Fletcher Jones Imports Las Vegas's online offerings. Please continue for more information regarding this 2019 Mercedes-Benz GLA GLA 250 with 4,891mi. This Mercedes-Benz includes: BLACK ASH MATTE WOOD TRIM Woodgrain Interior Trim PREMIUM PACKAGE Keyless Start HD Radio Hands-Free Liftgate Heated Front Seat(s) Satellite Radio Power Door Locks Keyless Entry Blind Spot Monitor Remote Trunk Release SMARTPHONE INTEGRATION Smart Device Integration WHEELS: 19 5-TWIN-SPOKE, MATTE BLACK Tires - Front Performance Tires - Rear Performance CONVENIENCE PACKAGE Auto-Dimming Rearview Mirror Universal Garage Door Opener COMPASS -inc: BEIGE ROOF LINER WHEEL LOCKS (DIO) Wheel Locks *Note - For third party subscriptions or services, please contact the dealer for more information. * CARFAX BuyBack Guarantee is reassurance that any major issues with this vehicle will show on CARFAX report. The Mercedes-Benz GLA is the benchmark all other SUVs strive to meet. With exceptional power, towing and handling, this SUV can handle anything thrown at it. You could spend more on fuel each month than on your vehicle payments, so why not consider one with exceptional fuel economy like this 2019 Mercedes-Benz GLA. This 2019 Mercedes-Benz CLA CLA 250 is proudly offered by Fletcher Jones Imports Las Vegas This Mercedes-Benz includes: SMARTPHONE INTEGRATION Smart Device Integration BLIND SPOT ASSIST Blind Spot Monitor WHEELS: 17 5-SPOKE Aluminum Wheels HEATED FRONT SEATS Heated Front Seat(s) REAR SPOILER (PIO) Rear Spoiler SAIL PATTERN TRIM BLACK HEADLINER *Note - For third party subscriptions or services, please contact the dealer for more information. * Drive home in your new pre-owned vehicle with the knowledge you're fully backed by the CARFAX Buyback Guarantee. This is about the time when you're saying it is too good to be true, and let us be the one's to tell you, it is absolutely true. Just what you've been looking for. With quality in mind, this vehicle is the perfect addition to take home. This outstanding example of a 2019 Mercedes-Benz CLA CLA 250 is offered by Fletcher Jones Imports Las Vegas. This Mercedes-Benz includes: SMARTPHONE INTEGRATION Smart Device Integration BLIND SPOT ASSIST Blind Spot Monitor WHEELS: 17 5-SPOKE Aluminum Wheels WHEEL LOCKS (PIO) Wheel Locks MATTE BLACK ASH WOOD TRIM Woodgrain Interior Trim BLACK HEADLINER *Note - For third party subscriptions or services, please contact the dealer for more information. * Drive home in your new pre-owned vehicle with the knowledge you're fully backed by the CARFAX Buyback Guarantee. You've found the one you've been looking for. Your dream car. The Mercedes-Benz CLA CLA 250 will provide you with everything you have always wanted in a car -- Quality, Reliability, and Character. Looking for a clean, well-cared for 2019 Mercedes-Benz GLA? This is it. This Mercedes-Benz includes: BLACK ASH MATTE WOOD TRIM Woodgrain Interior Trim PREMIUM PACKAGE Keyless Start HD Radio Hands-Free Liftgate Heated Front Seat(s) Satellite Radio Power Door Locks Keyless Entry Blind Spot Monitor Remote Trunk Release SMARTPHONE INTEGRATION Smart Device Integration WHEELS: 18 5-SPOKE ALUMINUM (STD) Aluminum Wheels ASH ROOF LINER CONVENIENCE PACKAGE Auto-Dimming Rearview Mirror Universal Garage Door Opener COMPASS -inc: *Note - For third party subscriptions or services, please contact the dealer for more information. * Drive home in your new pre-owned vehicle with the knowledge you're fully backed by the CARFAX Buyback Guarantee. Perfect for the on-the-go family, this Mercedes-Benz GLA GLA 250 is an SUV everyone will love. With exceptional mileage, options and power, you'll insist on driving it on all your outings. This vehicle was engineered to be both economically and environmentally friendly with exceptional fuel efficiency. Thank you for your interest in one of Fletcher Jones Imports Las Vegas's online offerings. Please continue for more information regarding this 2019 Mercedes-Benz GLC GLC 300 with 5,240mi. This Mercedes-Benz includes: NATURAL GRAIN BLACK ASH WOOD TRIM Woodgrain Interior Trim BLIND SPOT ASSIST Blind Spot Monitor REAR SEAT ENTERTAINMENT TIRES: P235/55R19 ALL-SEASON RUN-FLAT Tires - Front Performance Tires - Rear Performance HEATED FRONT SEATS Heated Front Seat(s) WHEELS: 18 5-SPOKE (R31) (STD) Aluminum Wheels SMARTPHONE INTEGRATION PACKAGE Smart Device Integration NATURAL GRAIN BLACK ASH WOOD/ALUMINUM DOOR TRIM STATIC LED HEADLAMPS PORCELAIN FABRIC HEADLINER *Note - For third party subscriptions or services, please contact the dealer for more information. * This 2019 Mercedes-Benz GLC comes with a CARFAX Buyback Guarantee, which means you can buy with certainty. This Mercedes-Benz GLC offers all the comforts of a well-optioned sedan with the utility you demand from an SUV. Excellence, luxury and stature are just a few of the pillars this car is built upon. You can find this 2019 Mercedes-Benz GLC GLC 300 and many others like it at Fletcher Jones Imports Las Vegas. This Mercedes-Benz includes: DARK BROWN LINDEN WOOD TRIM Woodgrain Interior Trim REAR SEAT ENTERTAINMENT WHEEL LOCKS (PIO) Wheel Locks TIRES: P235/55R19 ALL-SEASON RUN-FLAT Tires - Front Performance Tires - Rear Performance HEATED FRONT SEATS Heated Front Seat(s) WHEELS: 18 5-SPOKE (R31) (STD) Aluminum Wheels SMARTPHONE INTEGRATION PACKAGE Smart Device Integration PORCELAIN FABRIC HEADLINER *Note - For third party subscriptions or services, please contact the dealer for more information. * This vehicle is loaded with great features, plus it comes with the CARFAX BuyBack Guarantee. Gone are the days of SUVs being the size of a tank and handling like one. This Mercedes-Benz GLC is a perfect example of how SUVs have evolved into vehicles that are as refined as they are rugged. This Mercedes-Benz GLC GLC 300 is for the discerning driver who demands the utmost of his vehicle. Fletcher Jones Imports Las Vegas is pleased to be currently offering this 2019 Mercedes-Benz GLC GLC 300 with 6,075mi. This Mercedes-Benz includes: NATURAL GRAIN BLACK ASH WOOD TRIM Woodgrain Interior Trim PREMIUM PACKAGE Keyless Start HD Radio Satellite Radio Power Door Locks Keyless Entry BLIND SPOT ASSIST Blind Spot Monitor REAR SEAT ENTERTAINMENT WHEEL LOCKS (PIO) Wheel Locks TIRES: P235/55R19 ALL-SEASON RUN-FLAT Tires - Front Performance Tires - Rear Performance HEATED FRONT SEATS Heated Front Seat(s) WHEELS: 18 5-SPOKE (R31) (STD) Aluminum Wheels SMARTPHONE INTEGRATION PACKAGE Smart Device Integration BLACK FABRIC HEADLINER NATURAL GRAIN BLACK ASH WOOD/ALUMINUM DOOR TRIM *Note - For third party subscriptions or services, please contact the dealer for more information. * This vehicle is loaded with great features, plus it comes with the CARFAX BuyBack Guarantee. The Mercedes-Benz GLC GLC 300 offers a fair amount of utility thanks to its advanced features and unique styling. It's also quite sporty, and injects an ample amount of handling chutzpah into the ridin'-high body of a family-friendly SUV. Indulge yourself with one of the most highly crafted, most luxurious automobiles available today. 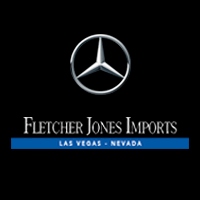 Thank you for visiting another one of Fletcher Jones Imports Las Vegas's online listings! Please continue for more information on this 2019 Mercedes-Benz GLC GLC 300 with 4,003mi. This Mercedes-Benz includes: NATURAL GRAIN BLACK ASH WOOD TRIM Woodgrain Interior Trim BLIND SPOT ASSIST Blind Spot Monitor REAR SEAT ENTERTAINMENT AMG® LINE Floor Mats WHEEL LOCKS (PIO) Wheel Locks TIRES: P235/55R19 ALL-SEASON RUN-FLAT Tires - Front Performance Tires - Rear Performance WHEELS: 19 AMG® TWIN 5-SPOKE W/GREY ACCENTS Tires - Front Performance Aluminum Wheels Tires - Rear Performance HEATED FRONT SEATS Heated Front Seat(s) SMARTPHONE INTEGRATION PACKAGE Smart Device Integration BLACK FABRIC HEADLINER NATURAL GRAIN BLACK ASH WOOD/ALUMINUM DOOR TRIM *Note - For third party subscriptions or services, please contact the dealer for more information. * Drive home in your new pre-owned vehicle with the knowledge you're fully backed by the CARFAX Buyback Guarantee. This Mercedes-Benz GLC GLC 300 defines excellence in an SUV. It has the convenience of limitless boundaries paired with city sophistication. Outstanding craftsmanship and artisanal refinements abound with this Mercedes-Benz GLC GLC 300. This 2019 Mercedes-Benz C-Class C 300 is offered to you for sale by Fletcher Jones Imports Las Vegas. This Mercedes-Benz includes: 10.25 CENTER DISPLAY REAR CROSS TRAFFIC ALERT NATURAL GRAIN BROWN ASH WOOD TRIM Woodgrain Interior Trim PORCELAIN FABRIC HEADLINER WHEELS: 17 TWIN 5-SPOKE (STD) Aluminum Wheels BLIND SPOT ASSIST Blind Spot Monitor HEATED FRONT SEATS Heated Front Seat(s) *Note - For third party subscriptions or services, please contact the dealer for more information. * Your buying risks are reduced thanks to a CARFAX BuyBack Guarantee. Is it possible to fall in love with a vehicle? It is when your vehicle is as prestige as the Mercedes-Benz C-Class. A truly breathtaking example of pure vehicle design achievement...this is the vehicle of your dreams! Fletcher Jones Imports Las Vegas has a wide selection of exceptional pre-owned vehicles to choose from, including this 2019 Mercedes-Benz C-Class. This Mercedes-Benz includes: 10.25 CENTER DISPLAY NATURAL GRAIN WALNUT WOOD TRIM REAR CROSS TRAFFIC ALERT BLACK FABRIC HEADLINER BLIND SPOT ASSIST Blind Spot Monitor HEATED FRONT SEATS Heated Front Seat(s) *Note - For third party subscriptions or services, please contact the dealer for more information. * Your buying risks are reduced thanks to a CARFAX BuyBack Guarantee. You deserve a vehicle designed for higher expectations. This Mercedes-Benz C-Class delivers with a luxurious, well-appointed interior and world-class engineering. A truly breathtaking example of pure vehicle design achievement...this is the vehicle of your dreams! This outstanding example of a 2019 Mercedes-Benz GLC GLC 300 is offered by Fletcher Jones Imports Las Vegas. This Mercedes-Benz includes: WHEELS: 19 5-SPOKE Tires - Front Performance Tires - Rear Performance DARK BROWN LINDEN WOOD TRIM Woodgrain Interior Trim BLIND SPOT ASSIST Blind Spot Monitor SMARTPHONE INTEGRATION PACKAGE Smart Device Integration BLACK FABRIC HEADLINER HEATED FRONT SEATS Heated Front Seat(s) BLACK MIRROR HOUSING (PIO) PREMIUM PACKAGE Keyless Start HD Radio Satellite Radio Power Door Locks Keyless Entry WHEEL LOCKS (PIO) Wheel Locks REAR SEAT ENTERTAINMENT TIRES: P235/55R19 ALL-SEASON RUN-FLAT Tires - Front Performance Tires - Rear Performance *Note - For third party subscriptions or services, please contact the dealer for more information. * Your buying risks are reduced thanks to a CARFAX BuyBack Guarantee. If you're in the market for an incredible SUV -- and value on-the-road comfort and manners more than ultimate off-road prowess or tow capacity -- you'll definitely want to check out this Mercedes-Benz GLC GLC 300. Quality and prestige abound with this Mercedes-Benz GLC. Enjoy the comfort and safety of this AWD Mercedes-Benz GLC GLC 300 equipped with many standard features found on other vehicles as optional equipment. Fletcher Jones Imports Las Vegas is excited to offer this 2019 Mercedes-Benz GLC. This Mercedes-Benz includes: DARK BROWN LINDEN WOOD TRIM Woodgrain Interior Trim REAR SEAT ENTERTAINMENT WHEELS: 19 5-SPOKE Tires - Front Performance Tires - Rear Performance WHEEL LOCKS (PIO) Wheel Locks TIRES: P235/55R19 ALL-SEASON RUN-FLAT Tires - Front Performance Tires - Rear Performance HEATED FRONT SEATS Heated Front Seat(s) PANORAMA SUNROOF Panoramic Roof Generic Sun/Moonroof Sun/Moonroof Dual Moonroof SMARTPHONE INTEGRATION PACKAGE Smart Device Integration STATIC LED HEADLAMPS ILLUMINATED STAR (PIO) PORCELAIN FABRIC HEADLINER *Note - For third party subscriptions or services, please contact the dealer for more information. * Drive home in your new pre-owned vehicle with the knowledge you're fully backed by the CARFAX Buyback Guarantee. The GLC GLC 300 doesn't disappoint, and comes with all the quality and understated opulence buyers have come to expect from the respected Mercedes-Benz marque. A truly versatile SUV, this vehicle will please even the most discerning of buyers. Today's luxury vehicle is not just about opulence. It's about a perfect balance of performance, comfort and attention to detail. This 2019 Mercedes-Benz GLC is the perfect example of the modern luxury. Check out this gently-used 2019 Mercedes-Benz GLC we recently got in. This Mercedes-Benz includes: NATURAL GRAIN BLACK ASH WOOD TRIM Woodgrain Interior Trim NATURAL GRAIN BLACK ASH WOOD/ALUMINUM DOOR TRIM BLIND SPOT ASSIST Blind Spot Monitor SMARTPHONE INTEGRATION PACKAGE Smart Device Integration BLACK FABRIC HEADLINER HEATED FRONT SEATS Heated Front Seat(s) PREMIUM PACKAGE Keyless Start HD Radio Satellite Radio Power Door Locks Keyless Entry WHEELS: 18 5-SPOKE (R31) (STD) Aluminum Wheels WHEEL LOCKS (PIO) Wheel Locks REAR SEAT ENTERTAINMENT TIRES: P235/55R19 ALL-SEASON RUN-FLAT Tires - Front Performance Tires - Rear Performance *Note - For third party subscriptions or services, please contact the dealer for more information. * This vehicle is loaded with great features, plus it comes with the CARFAX BuyBack Guarantee. The Mercedes-Benz GLC is the benchmark all other SUVs strive to meet. With exceptional power, towing and handling, this SUV can handle anything thrown at it. Is it possible to fall in love with a vehicle? It is when your vehicle is as prestige as the Mercedes-Benz GLC. Enjoy the comfort and safety of this AWD Mercedes-Benz GLC GLC 300 equipped with many standard features found on other vehicles as optional equipment. This 2019 Mercedes-Benz E-Class E 300 is offered to you for sale by Fletcher Jones Imports Las Vegas. This Mercedes-Benz includes: BURL WALNUT WOOD TRIM Woodgrain Interior Trim HEATED FRONT SEATS Split Bench Seat Heated Front Seat(s) Fixed Bench Seat Bucket Seats LOW-NOISE PERFORMANCE TIRES (SPC) Tires - Front All-Season Tires - Rear All-Season BLACK HEADLINER BLIND SPOT ASSIST Blind Spot Monitor WHEEL LOCKS (PIO) Wheel Locks PANORAMA ROOF Generic Sun/Moonroof Sun/Moonroof Dual Moonroof COMFORT BOX (PIO) TIREFIT MOBILITY KIT TIRES: HIGH-PERFORMANCE SPORT (SPC) Tires - Front Performance Tires - Rear Performance REAR SPOILER (PIO) Rear Spoiler WHEELS: 18 AMG® 5-SPOKE ALLOY (SPC) Tires - Front All-Season Chrome Wheels Tires - Front Performance Aluminum Wheels Steel Wheels Tires - Rear Performance Tires - Rear All-Season AMG® LINE EXTERIOR 4-Wheel Disc Brakes Front Disc/Rear Drum Brakes LOWERED SUSPENSION W/SELECT®IVE DAMPING SYSTEM PREMIUM 1 PACKAGE Keyless Start HD Radio Hands-Free Liftgate Satellite Radio Power Door Locks Keyless Entry Remote Trunk Release 115V AC POWER OUTLET BURMESTER SURROUND SOUND SYSTEM Premium Sound System *Note - For third party subscriptions or services, please contact the dealer for more information. * This vehicle is loaded with great features, plus it comes with the CARFAX BuyBack Guarantee. Today's luxury vehicle is not just about opulence. It's about a perfect balance of performance, comfort and attention to detail. This 2019 Mercedes-Benz E-Class is the perfect example of the modern luxury. Look no further, you have found exactly what you've been looking for. Fletcher Jones Imports Las Vegas is honored to present a wonderful example of pure vehicle design... this 2019 Mercedes-Benz E-Class E 300 only has 5,455mi on it and could potentially be the vehicle of your dreams! This Mercedes-Benz includes: HEATED FRONT SEATS Split Bench Seat Heated Front Seat(s) Fixed Bench Seat Bucket Seats BLACK HEADLINER BLIND SPOT ASSIST Blind Spot Monitor WHEEL LOCKS (PIO) Wheel Locks COMFORT BOX (PIO) NATURAL GRAIN BROWN ASH WOOD TRIM Woodgrain Interior Trim REAR SPOILER (PIO) Rear Spoiler REAR SEAT ENTERTAINMENT SPORT PACKAGE LED LOGO PROJECTORS (SET OF 2) (PIO) LOWERED SUSPENSION W/SELECT®IVE DAMPING SYSTEM PREMIUM 1 PACKAGE Keyless Start HD Radio Hands-Free Liftgate Satellite Radio Power Door Locks Keyless Entry Remote Trunk Release WHEELS: 18 5-SPOKE (STD) Aluminum Wheels PARKING ASSISTANCE PACKAGE Automatic Parking Back-Up Camera BURMESTER SURROUND SOUND SYSTEM Premium Sound System *Note - For third party subscriptions or services, please contact the dealer for more information. * Your buying risks are reduced thanks to a CARFAX BuyBack Guarantee. This Mercedes-Benz E-Class E 300 is for the discerning driver who demands the utmost of his vehicle. This is about the time when you're saying it is too good to be true, and let us be the one's to tell you, it is absolutely true. What is a Mercedes-Benz Executive Demo Vehicle? When you visit a dealership for a test drive or borrow a loaner car during service, you’ll typically ride in an executive demo car. After a certain amount of time, executive demos are sold as pre-owned vehicles—usually at great prices and with all of the same features you’d expect from a Mercedes-Benz. You’ll find 21 retired executive demo and loaner cars on special at FJ Imports in Las Vegas—not far from Summerlin and Spring Valley. Why Take Advantage of an Executive Demo Special? Retired executive demo cars have exceptionally low mileage, which many used-car buyers factor into their purchase. This is because they’re current model-year cars and, while having a history of being driven, look brand new. Additionally, because these Mercedes-Benz vehicles were used as test-drive and courtesy cars, we’re able to offer fantastic specials and sell them at great prices! Learn more about our Mercedes-Benz warranty, then schedule a test drive online, or visit us near Paradise to browse our executive demo specials in person. To speed up the buying process, apply for financing online!